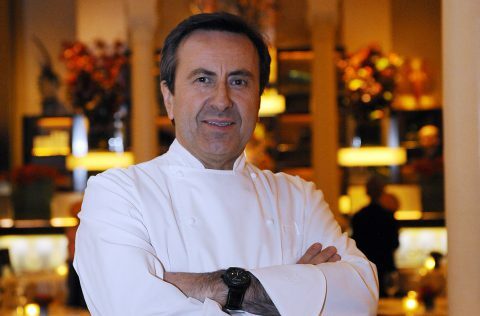 Embarrasing and expensive ordeal as top celebrity chef Daniel Boulud chef is fined £1million after a customer swallowed a piece of wire served up by his restaurant. Yuk! The problem with being a top chef is that you cannot afford to make mistakes. Most people expect impeccable and flawless service from you when you are reputed to be one of the best chefs in the world. Barry Brett was eating a £25 dish of coq au vin at the French-inspired Bistro Moderne in Manhattan – owned by Michelin-star chef and TV personality Daniel Boulud. The customer said he had a traumatic experience after eating a piece of wire. Infact the retired lawyer claimed he almost died after the one-inch bristle he swallowed caused an infection, according to the New York Post. After a year-long legal battle, Brett the wire eating customer, was awarded $300,000 (£245,000), and the restaurant was forced to pay out another £820,000 in punitive fines. All that from a $25 plate of food! She added that the fine should send a clear message to all restaurateurs not to use cheap wire brushes in the kitchen. Back in 2012 the Center for Disease Control issued a stern warning to commercial restaurants about using wire brushes in their kitchens. And that was probably the main Factor that sank Daniel the chef. Not one to easily accept defeat, the celebrity chef is appealing the courts verdict.